I can't believe we are in the second week of April already! I think I need a pause button but hey ho, tis life! Right I'm here to share my latest Graph It colouring DT make. Make sure you pop over to the blog to see the rest of the inspiration and to see the challenge details, and don't forget to join in! I loved this challenge, adding depth to images with darker shadows is something I enjoy doing and I push myself to see what I can do with these amazing pens. 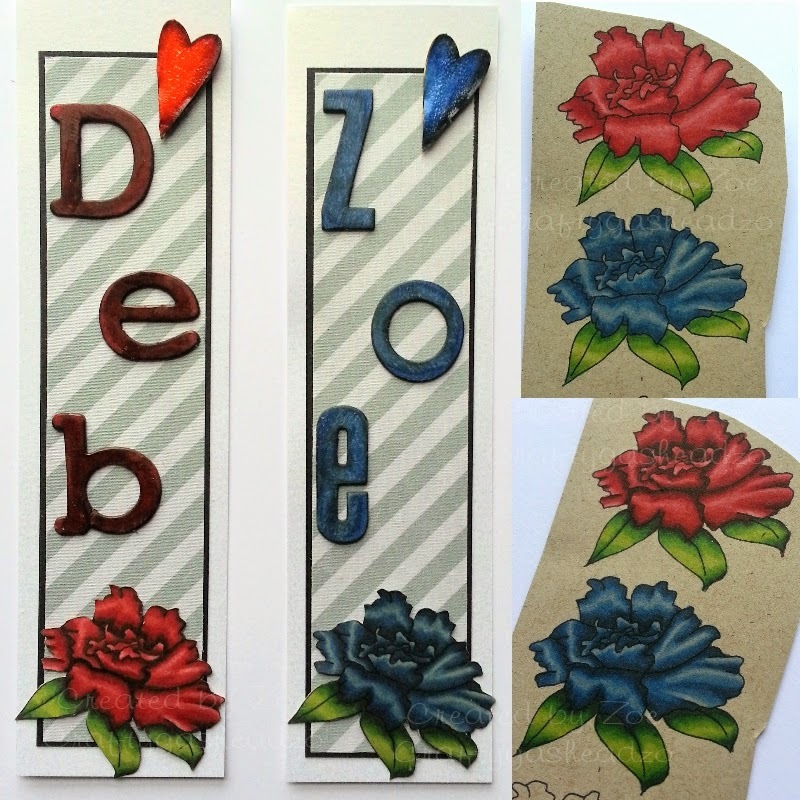 I created these 2 bookmarks using a flower image from the gorgeous Dollie Goes East collection. I also added chipboard letters and a heart, all coloured with my Graph It's. 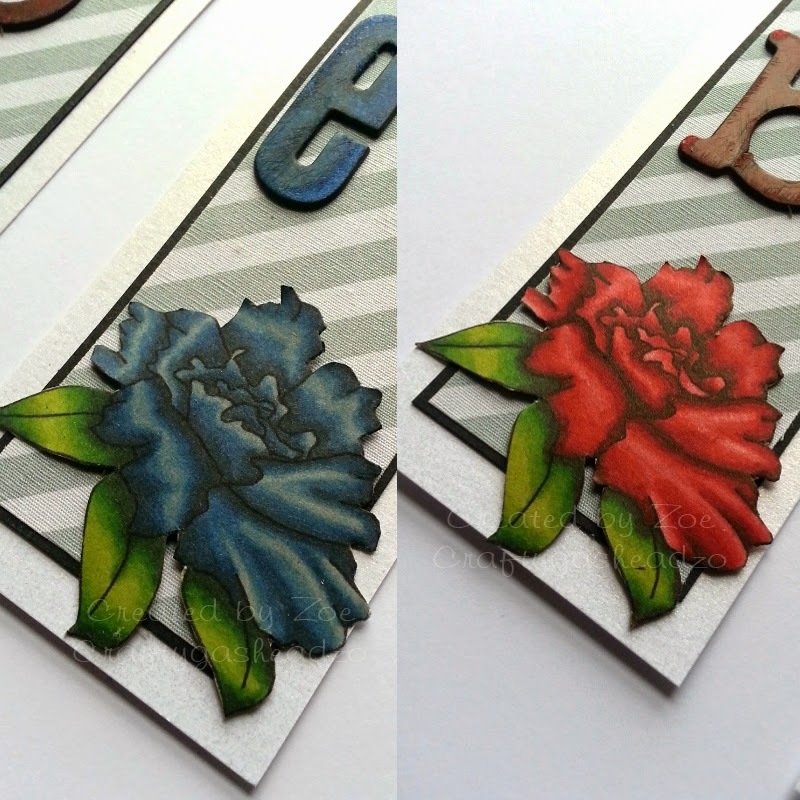 I used a brown and a green grey to add the extra shadows - my image shows the flowers coloured before I added the shadow (top right) then after (bottom right) and, of course, the finished project! Reds = 5210, 5215, 5220 & 5245. Blues = 7125, 7130, 7170 & 7180. Greens = 8220, 8260 & 8270. I think you can see just how much the added depth of shadow lifts those petals, curls them and makes a flat outline image look 3D. I took the photos at different times and while the ink was wetter the colours were brighter but dried to a more vintage look like the last picture shows. Hope you try this out for yourselves.